Blue. White. Greece. Summer. The Cyclades islands. Mykonos. With the sea glimmering in the sunlight, white houses with their blue shutters and balconies directly overlooking the Mediterranean, pretty little side streets which offer welcome shade, windmills, fine sandy beaches, small, untouched creeks, magical sunsets and pelicans, Mykonos is undoubtedly the most distinctive of the Greek islands. It is also the trendiest. With its jet-set atmosphere and feverish nightlife, Mykonos is the most festive Greek island. In July and August, the party starts before the sun goes down. The animated nightlife makes it a favorite beach resort and holiday destination for the European and American jet set. 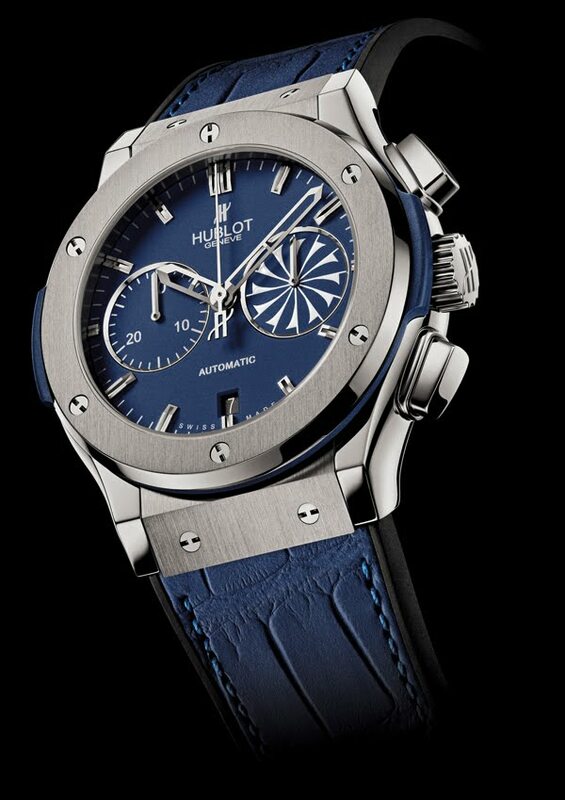 Hublot has had phenomenal success in Mykonos. With its Greek partner Flamme Hellas and Gofas in Mykonos, it quite naturally came up with the idea of creating a special series inspired by the island. Bezel 6 titanium H-shaped countersunk, polished and locked screws.